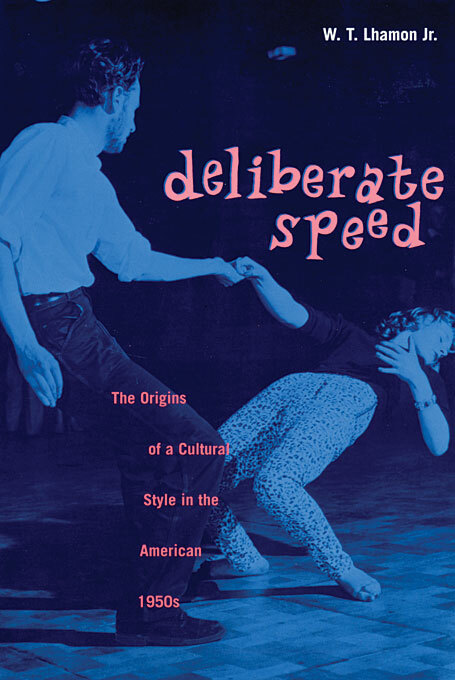 W. T. Lhamon ’s Deliberate Speed is a cultural history of the 1950s in the United States that directly confronts the typical view of this decade as an arid wasteland. By surveying the artistic terrain of the period—examining works by figures as varied as Miles Davis, Ralph Ellison, Robert Frank, Allen Ginsberg, Little Richard, Charlie Parker, Jackson Pollock, Thomas Pynchon, and Ludwig Wittgenstein—Lhamon demonstrates how many of the distinctive elements that so many attribute to the revolutionary period of the 1960s had their roots in the fertile soil of the 1950s. 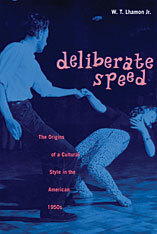 Taking his title from Chief Justice Earl Warren’s desegregation decree of 1955, Lhamon shows how this phrase, “deliberate speed,” resonates throughout the culture of the entire decade. The 1950s was a period of transition—a time when the United States began its shift from an industrial society to a postindustrial society, and the era when the first barriers between African-American culture and white culture began to come down. Deliberate Speed is the story of a nation and a culture making the rapid transition to the increasingly complex world that we inhabit today.